Air walk above islands in the Mediterranean Sea © photo marc bourbon droits réservés – copyright marc bourbon all rights reserved. Survol de l’archipel du Riou. Flying over the archipelago of Riou. Arrival in bay of Marseille by the small door © photo marc bourbon droits réservés – copyright marc bourbon all rights reserved. Beaucoup de plaisanciers passent par le petit détroit entre le cap Croisette et l’île Maire pour arriver en baie de Marseille. 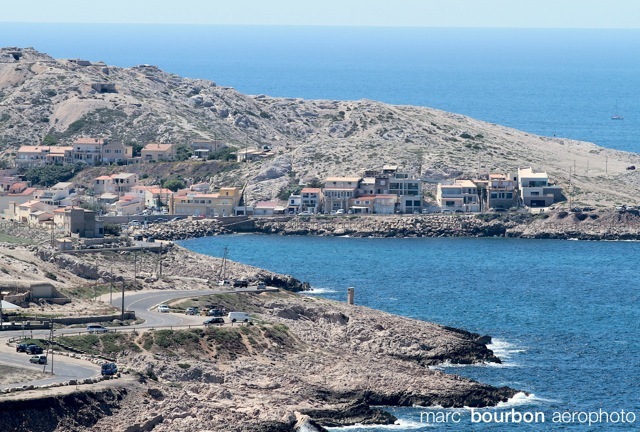 Many sailors cross by the small strait between the cape Croisette and the island Maire to arrive in bay of Marseille. 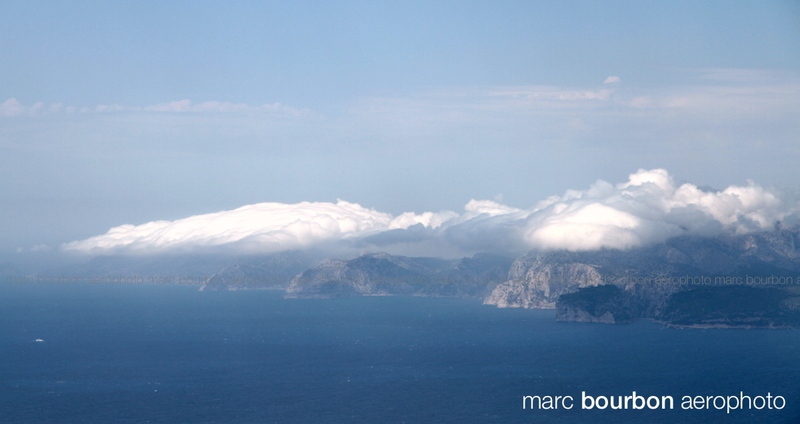 Some cotton for the massif of Calanques © photo marc bourbon droits réservés – copyright marc bourbon all rights reserved. Une jolie couverture en pur coton sur le massif des Calanques entre Marseille et Cassis. A beautiful coverage in pure cotton on the massif of Calanques between Marseille and Cassis. 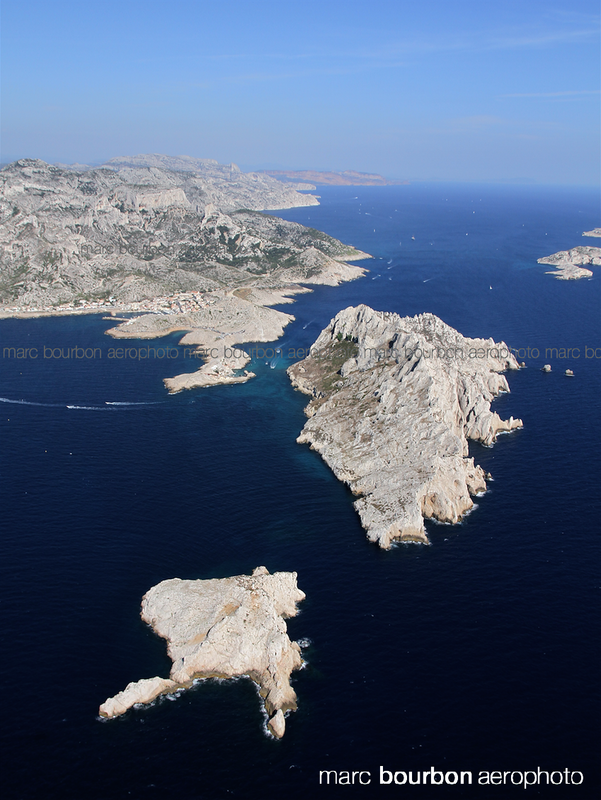 From the cap Croisette to the massif of Calanques by way of islands © photo marc bourbon droits réservés – copyright marc bourbon all rights reserved. Le cap Croisette, juste en face de l’île de Maire, est au début du massif des Calanques, au loin sur la photo on distingue le cap Canaille. 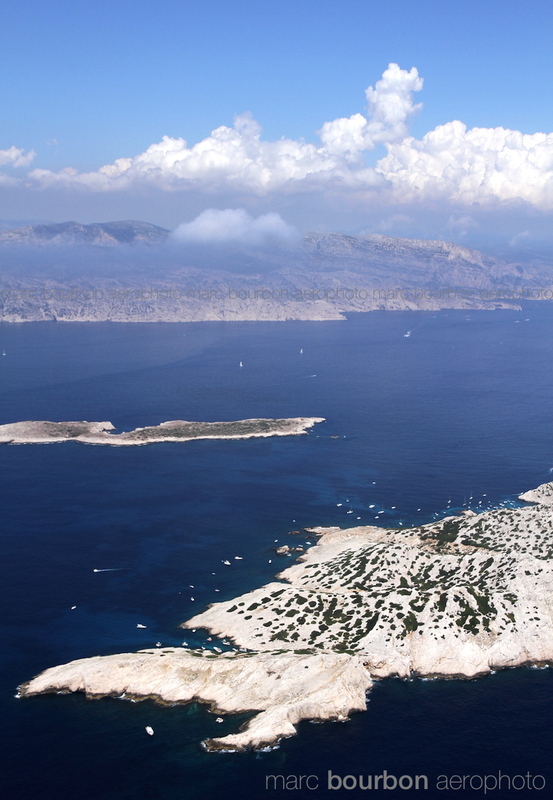 The cape Croisette, just in front of the island of Maire, is at the beginning of the massif of Calanques, far off on the photo we distinguish the cape Canaille. Le bout du bout de la baie de Marseille, c’est le cap croisette! The end of the end of the bay of Marseille, it’s the cape croisette! © photo marc bourbon droits réservés – copyright marc bourbon all rights reserved. Juste au début du massif des Calanques, le cap Croisette est tout au sud de Marseille. Et pour y arriver faut faire de la marche à pied! 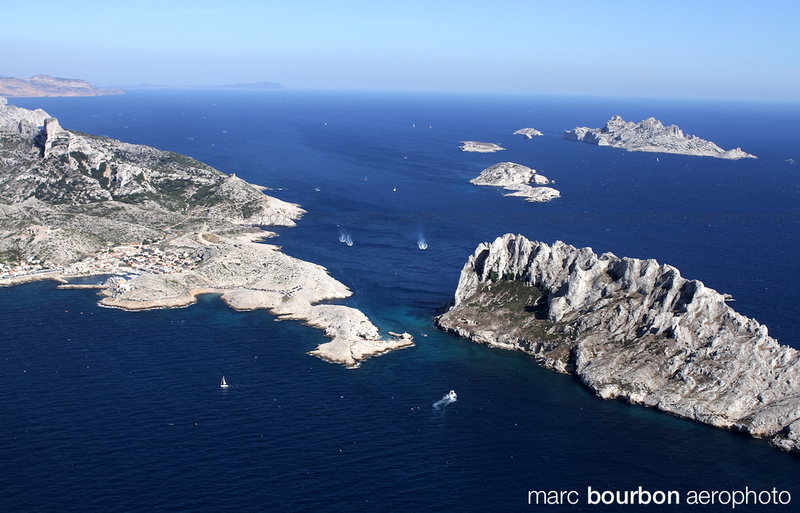 Just at the beginning of the massif of Calanques, the cape Croisette is in the South of Marseille. And to arrive needs to go walking there! End of the road, beyond it’ s the Mediterranean Sea © photo marc bourbon droits réservés – copyright marc bourbon all rights reserved. Les Goudes et le cap Croisette au bout de la baie de Marseille, juste avant le massif des Calanques et la Méditerranée. Goudes and cape Croisette at the end of the bay of Marseille, just before the massif of Calanques and the Mediterranean Sea. 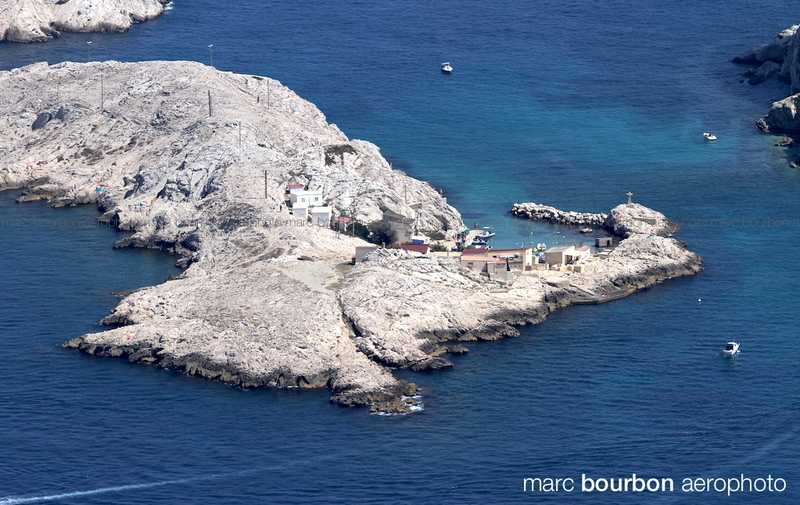 Madrague de Montredon is at the end of Marseille © photo marc bourbon droits réservés – copyright marc bourbon all rights reserved. Juste avant le massif des Calanques le quartier de la Madrague de Montredon est un ancien et joli petit quartier de marseille. 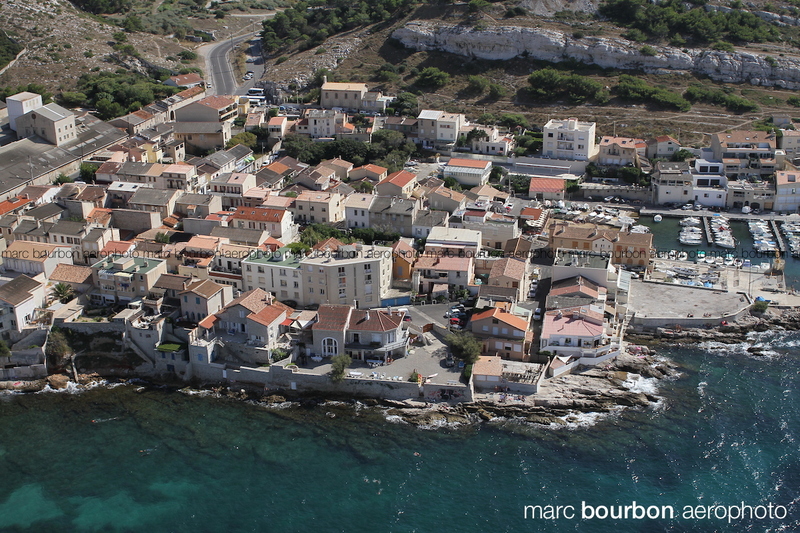 Just before the massif of Calanques the district of the Madrague de Montredon is old and nice little one district of Marseille.